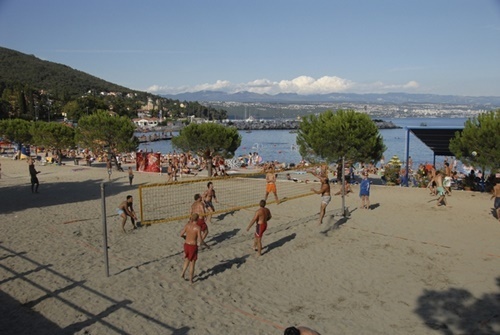 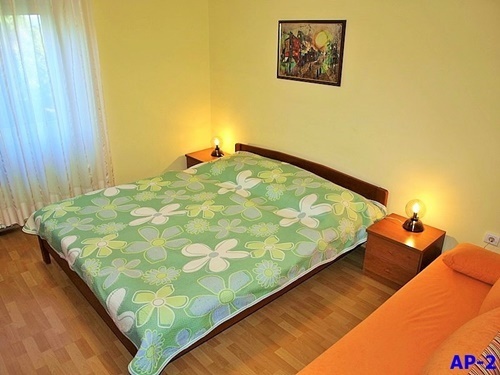 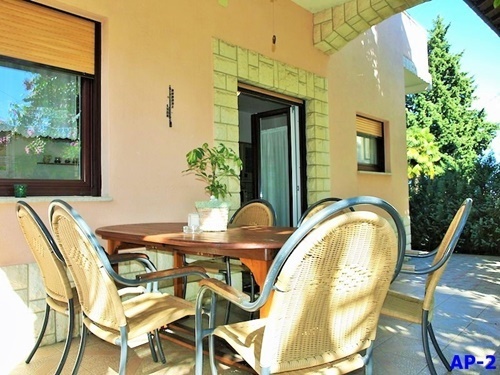 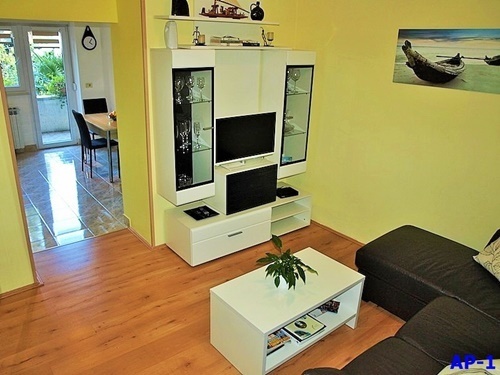 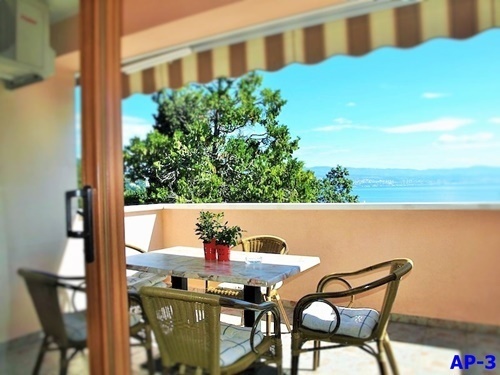 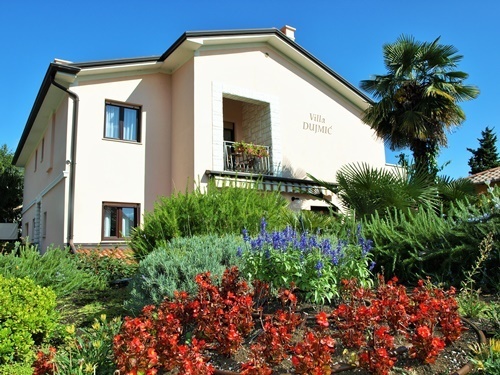 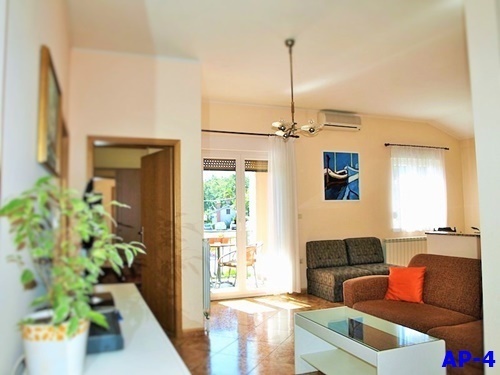 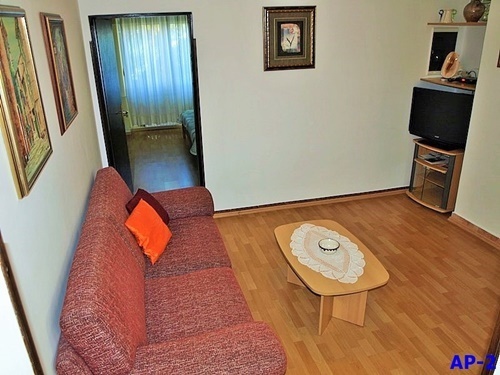 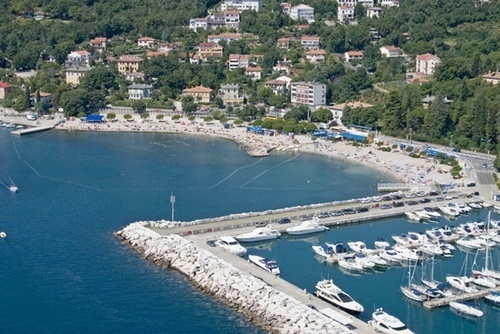 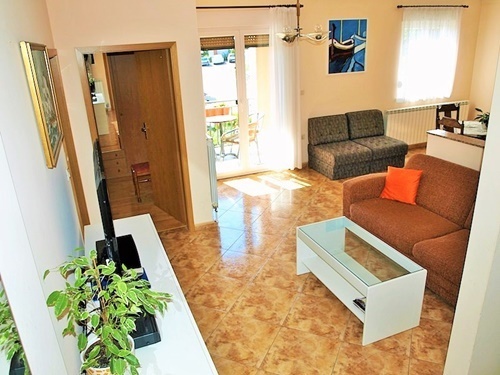 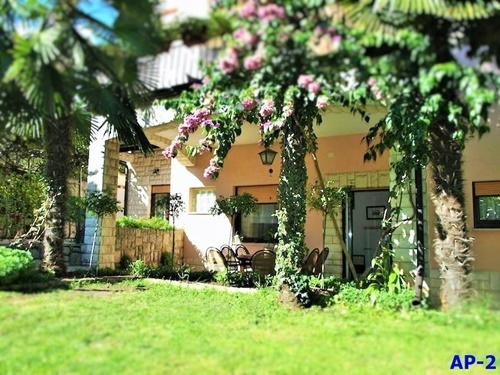 The Dujmić apartments are in the close vicinity of the beach - less than 120 meters away from it. 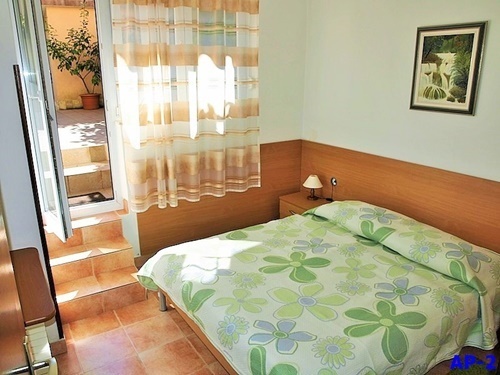 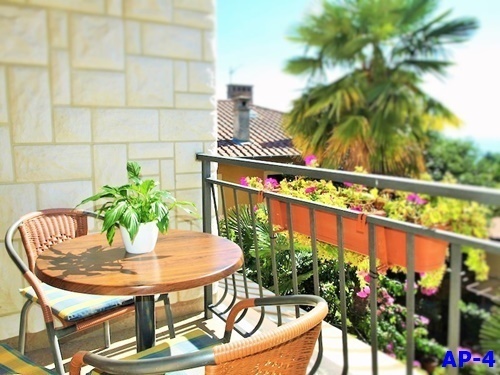 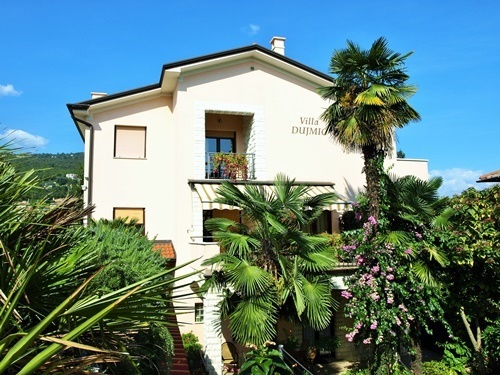 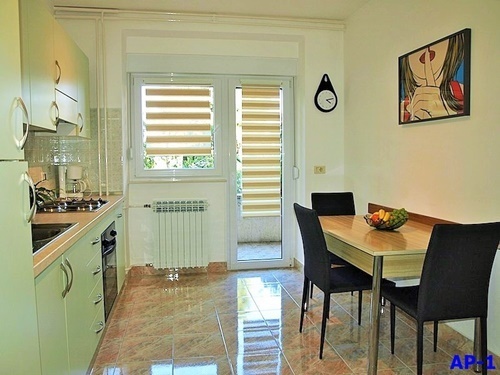 The apartments themselves are very comfortable and generously furnished to meet all your needs, while the building is surrounded by lush vegetation in the terrace gardens. 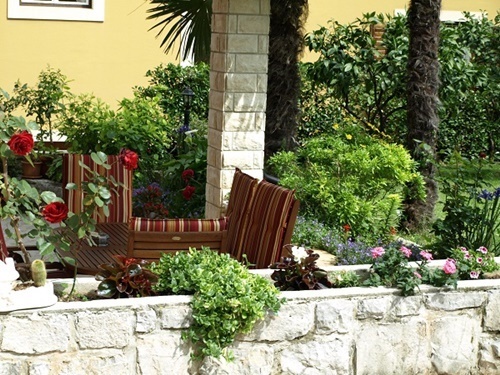 Of course, private parking space is available right next to the house. 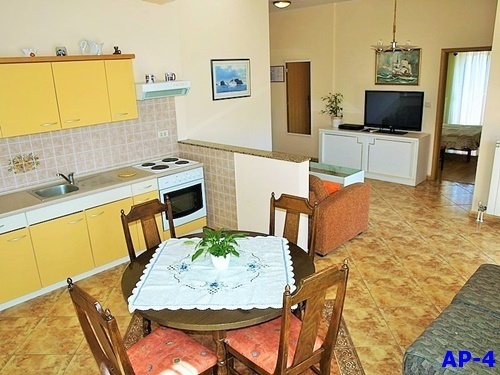 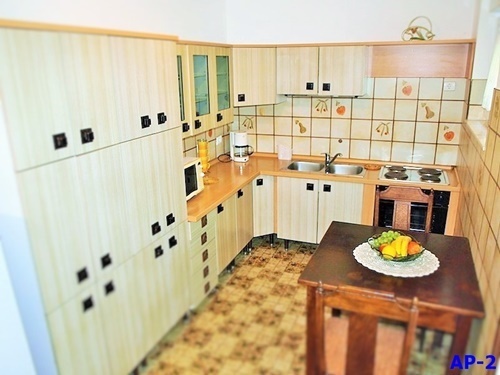 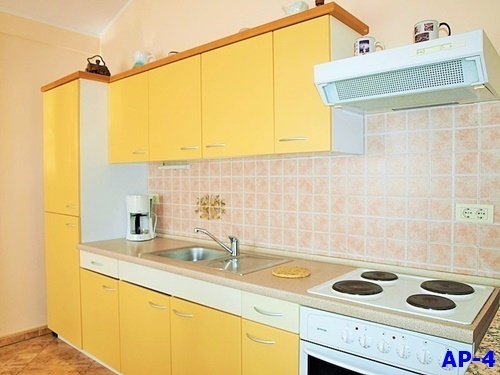 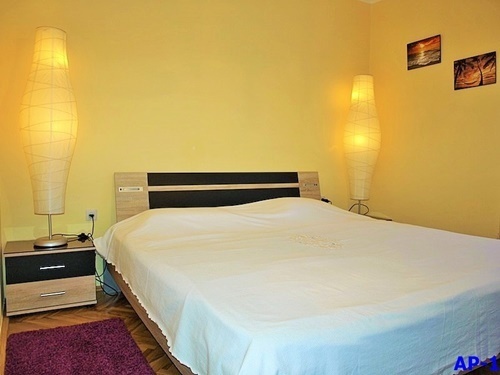 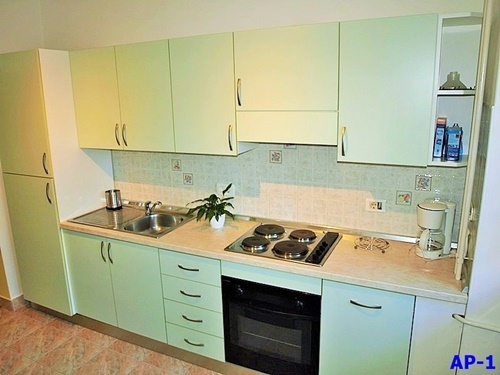 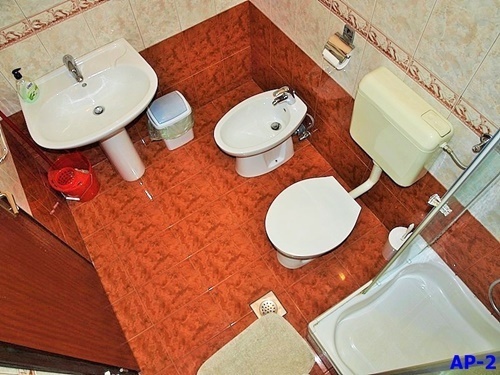 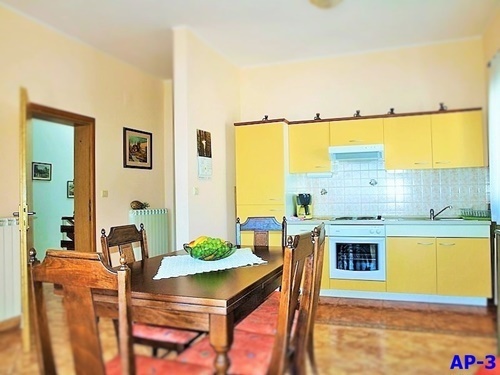 There are 4 self-contained apartments of 70 - 75 m2 each, for 4 till 5 persons. 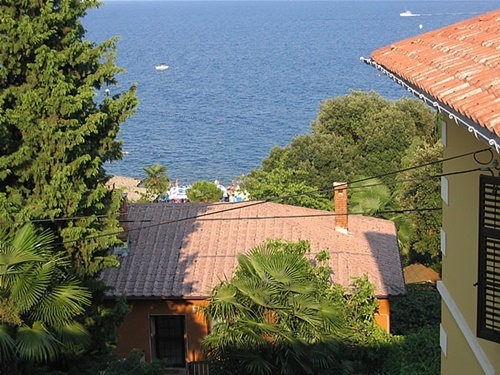 Two apartments are on the ground floor and the other two apartments are on the first floor and they have a sea view. 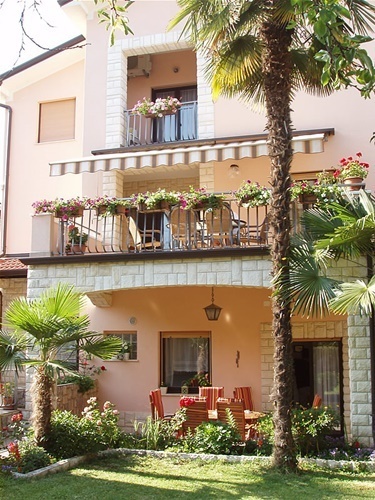 2 apartments on the ground floor have a nice terrace in the garden. 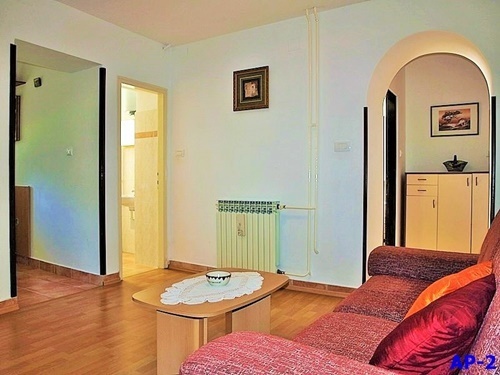 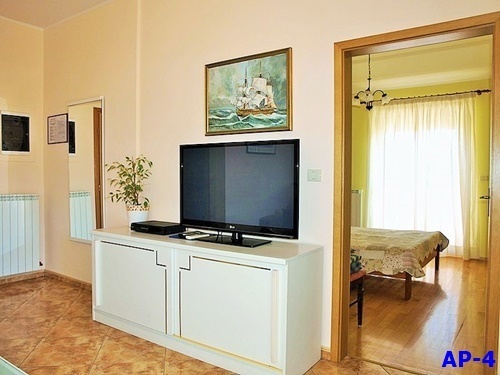 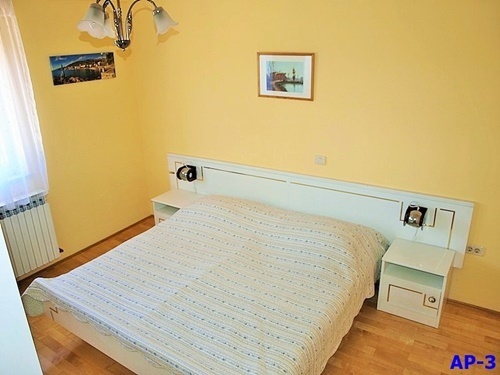 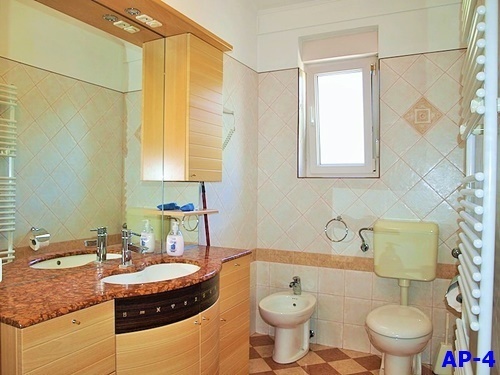 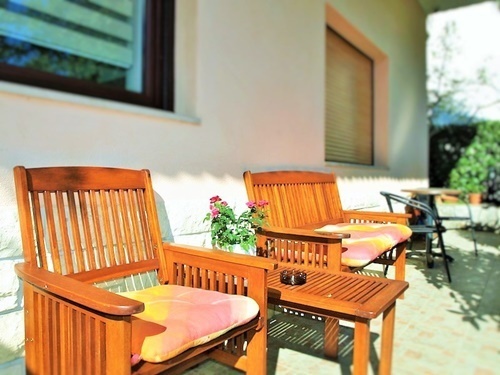 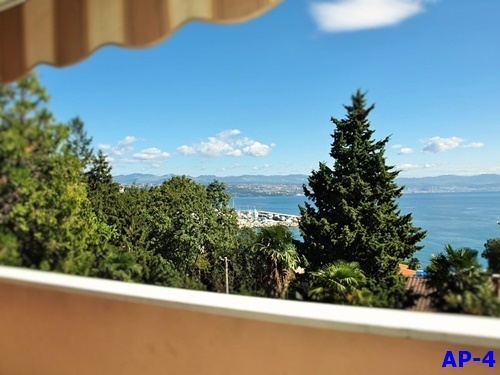 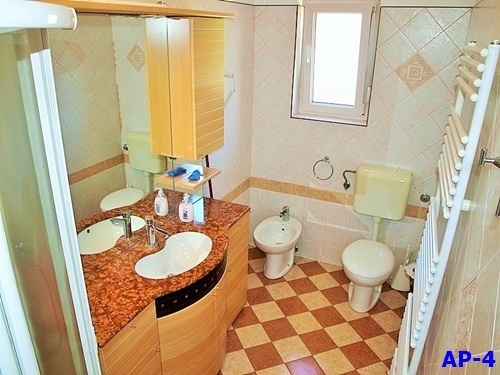 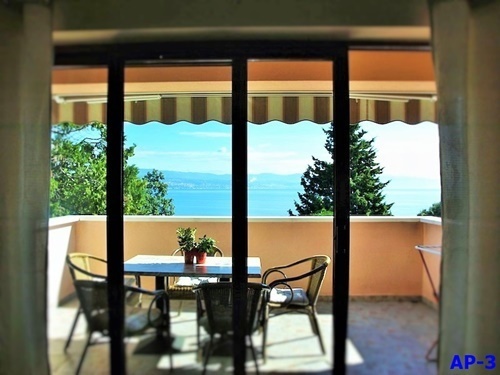 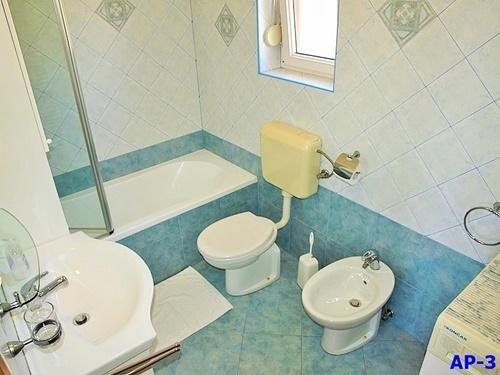 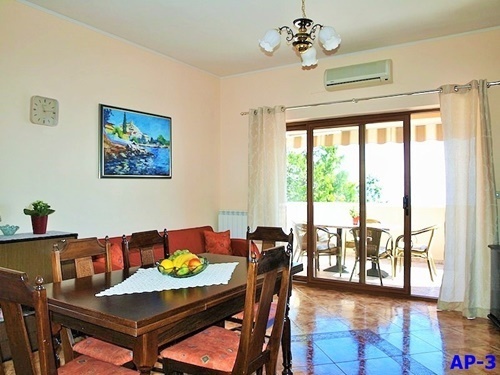 2 apartments are situated on the first floor (nice view to the sea). 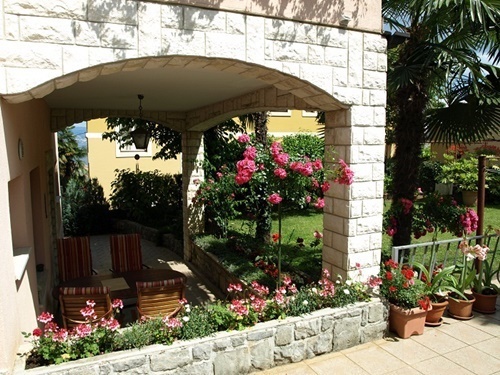 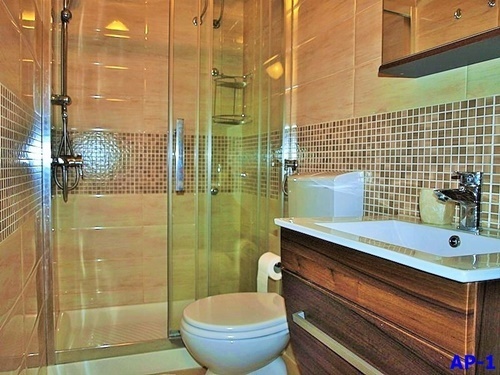 Each apartment has its own terrace or balcony, bathroom with shower/WC, SAT TV, kitchen with all equipment, central heating.